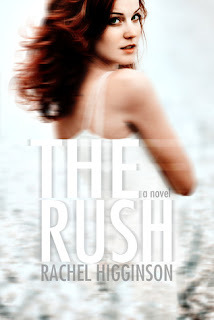 Anyone who is has even read any of the many posts I have done about Rachel and her books knows that I love her, her writings/stories and her characters. With her announcement of this book, I was just excited as all her others. Best part of the book: I love the concept of the story. It was not a normal Rachel story, but still different and unique. I enjoyed the characters in the book. Rachel always has the ability to make each character stand out on their own and that is wonderful. Not so great about the book: There were a couple things that I thought were "not that great". I did not find Ryder "swoon-worthy". It is just me, others may find him perfect. It probably because my heart belongs to another character of Rachel's other series. Also, I thought the book was a little slow, but it does pick up. However, if you have read Rachel's other books, I recommend that you read this one too!